R.L. 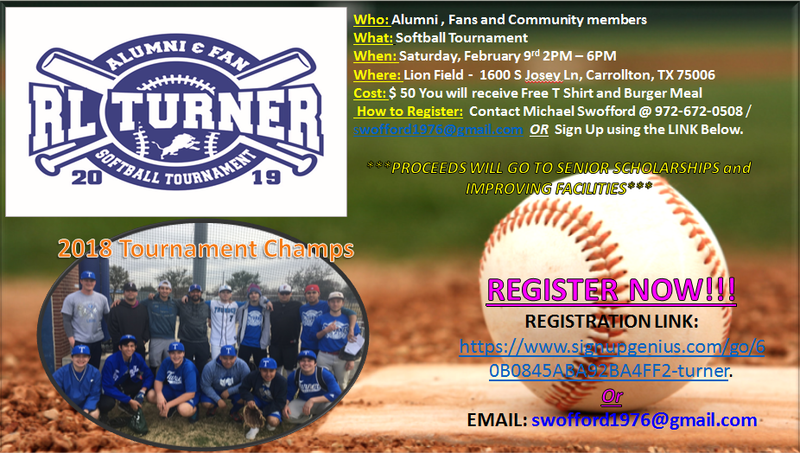 Turner High School is having their annual Softball Tournament as a fundraiser for senior scholarships and improving their facilities. price includes a spot on a team, t-shirt and lunch. This event is open to anyone in the community, you don't have to be alumni of Turner.